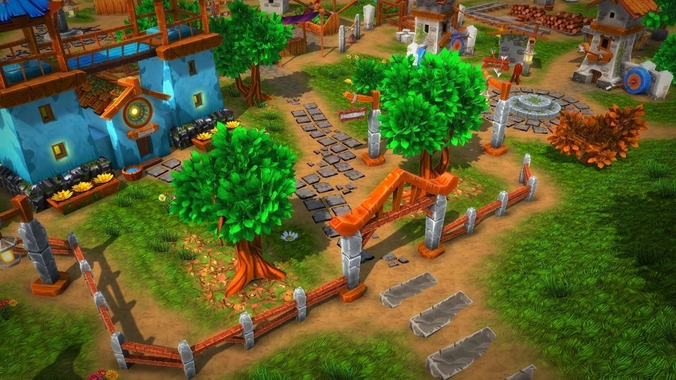 This pack contains over 200 low-poly game ready assets, to help you build your dream RTS, Village Simulator or Tower Defense game. The triangle count for most of the models varies from 100 to 1500 tris/model. In addition, there are 50 custom mesh colliders used for the houses and buildings added to the package. The textures used on the terrain are also included, but the terrain has been built in Unity 5 and is not included.